The engraving above is from Frederick Russel and Wat Hargreen's Picturesque Antiquities of Ipswich (published in Ipswich, 1845). Suitably, we read that 'George Walter [Wat] Hagreen (1811-1866), was born in Bury St Edmunds. 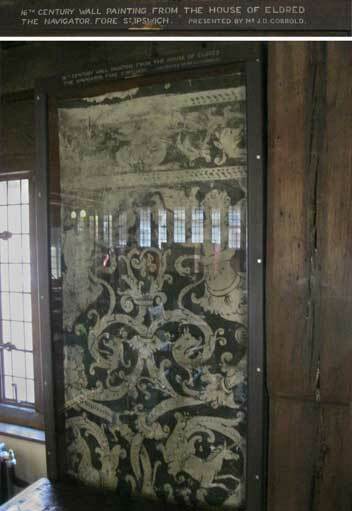 Walter was a draughtsman, etcher, painter, carver and church decorator, who in the 1840s was living in the Butter Market, with a studio at Fore Street, Ipswich, where he discovered an overmantle with painted panels and an inscription which showed that it was formerly the home of explorer Thomas Eldred (1562-1624).' Scroll down for that overmantle. 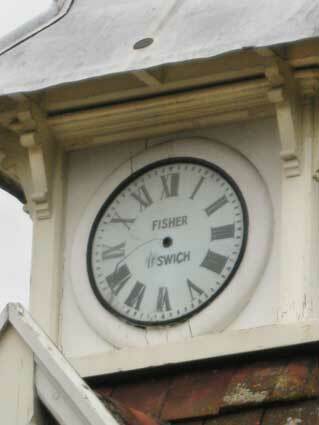 See our page on Public clocks in Ipswich for a 2018 view of the Mansion frontage and its clock. (Loosely translates as: 'Always behave with frugality and don't be a spendthrift' - not something necessarily followed by the Withypoll residents. 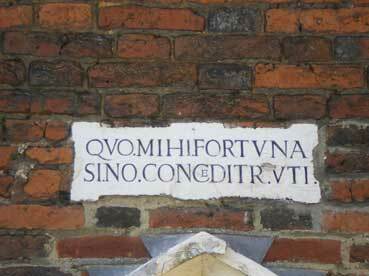 There are other Latin phrases built into the front hall of the Mansion and they are primarily ways of showing off the extremely good education of the Withypoll boys and girls.) See below for more. The Withypoll family built the house on the site of the Augustinian Priory of the Holy Trinity which had been founded in the twelfth century. (The nearby Round Pond and Wilderness Pond are fed by the natural springs so plentiful in Ipswich to the present day and they supplied the monks with carp, tench, roach and gudgeon.) See below*** for an alternative view of the history of the Mansion. In 1536, during Henry VIII's reign, the Priory was suppressed and it's estates seized by the Crown. Paul Withypoll, a successful London merchant, bought the site in 1545 and in 1548 his son Edmund began to build a house on the ruins of the Priory, of which he was the first resident. 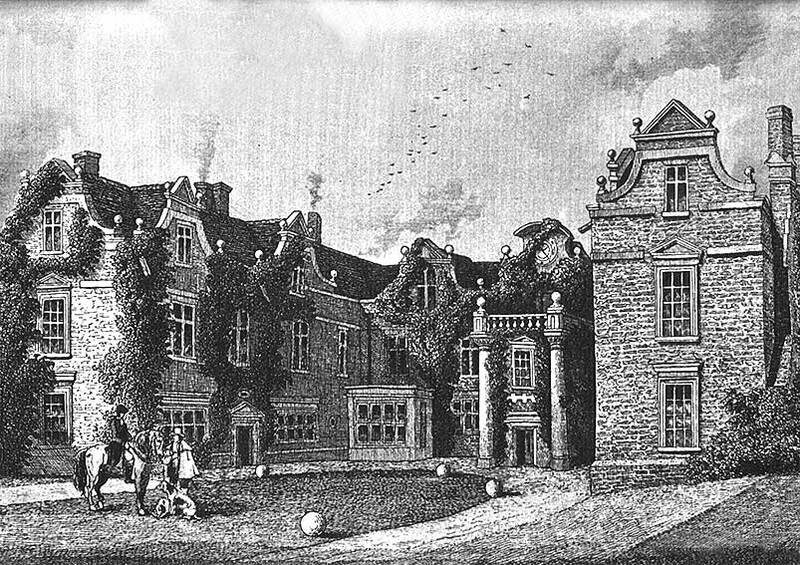 In 1645, the estate passed to Elizabeth, wife of Leicester Devereux, who was the only daughter and heir of Sir William Withypoll. In 1735, the house was sold to Claude Fonnereau, a wealthy London merchant, of Huguenot decent. Either he or his son Thomas made alterations in the early eighteenth century. A new wing was built on to the north-east corner to contain a drawing room downstairs and a magnificent state bedroom upstairs. The bedroom contains some outstanding rococo plasterwork incorporating the Fonnereau coat of arms. 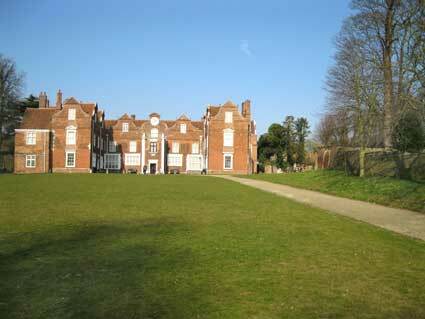 In 1892 Christchurch Mansion was bought by Felix Thornley Cobbold who presented it to the people of Ipswich. It was opened as a museum in 1896. The adjoining park was opened to the public, free of charge, in 1895, but it had been enjoyed by Ipswich people since at least 1724. Until the end of the nineteenth century sheep could still be seen grazing in the park although the small herd of deer had by that time disappeared. 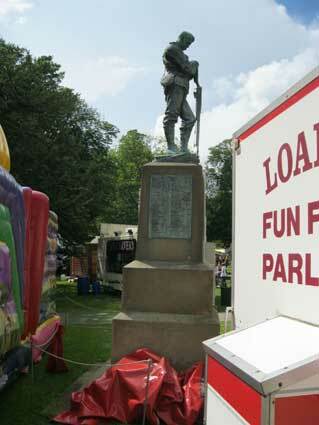 The Fonnereau family frequently hired out sections of the Park for community events and it is still well used for music, arts, fairs and events as testified to by this year's Vintage Vehicle Rally, Ipswich Music Day and the visit by The Moscow State Circus. This tablet above a suitably grotesque gargoyle (sadly not connected to the local springs) which is on a side wall of the mansion which adjoins the lower park. 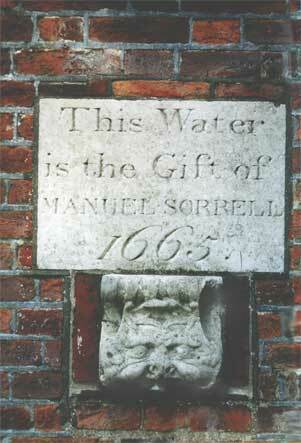 Manuel Sorrell was one of the bailiffs appointed commissioners for the assessment of Ipswich in 1660 and 1667, and an obvious relative in 1664, 1667 and 1675. Sorrell's residence was The Oxborrow's Hotel, St Peter's Street in 1665 when Sir Manuel was knighted by Charles II after he had presented the King with a gift of £300 from the town as a token of its loyal allegiance. The waterspout was definitely moved from elsewhere, but from whence? while I was researching a photo of Christchurch Mansion that was taken in 1944 or 1945. I have attached this photo. It was taken by Clarence E. Schurwan Jr when he was stationed with the U.S. Army Air Force in Suffolk during World War II. If this is true, do you think the overlap of the C and the U was done intentionally, or rather because the artist ran out of room? Our thanks to Paul for getting in touch and sending the images. See the update below. 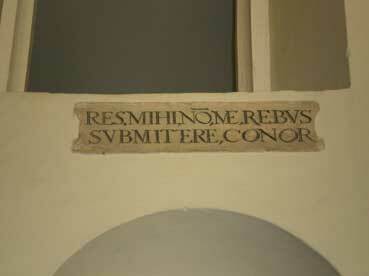 Here are the missing mottos and lettering from inside the Mansion's Great Hall. Below these four are the two examples on the east side of the building which faces away from that generally seen by the public. 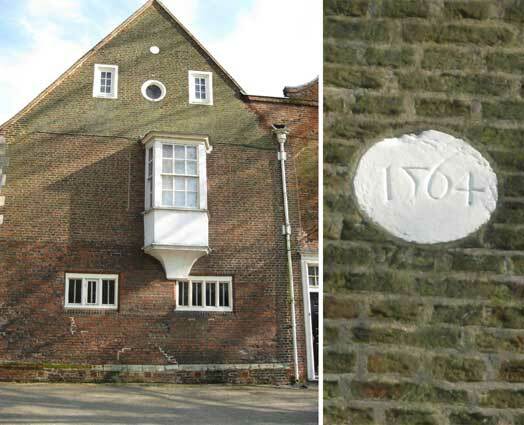 The Latin inscriptions on the outside of the Mansion and inside on the North wall are thought to remain from Edmund Withypoll's original Tudor Hall. 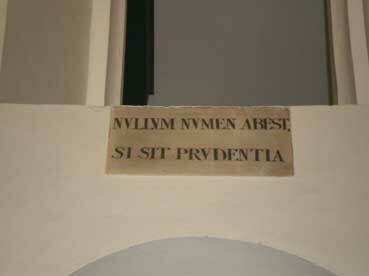 'FRUGALITATUM SIC SERVAS UT DISSPATIONEM NON INCURASS' (You observe frugality in order that you may not run into dissipation). 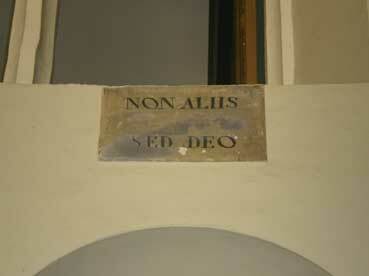 'NON ALIIS SED DEO' (Not unto others, but to God). Our thanks to the staff of Christchurch Mansion for permission to photograph these examples and for access to the official translations. 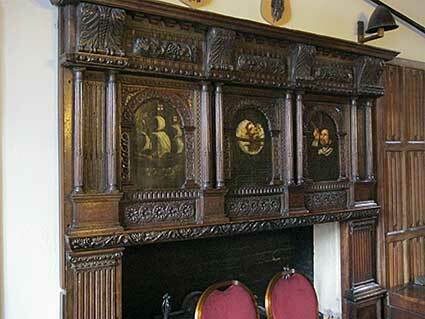 This room and the one below are not original to Christchurch Mansion. They were added in the 1920s. 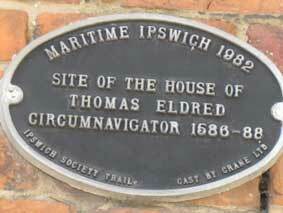 Originally they were part of a Tudor house at Majors Corner, Ipswich. Both rooms contain many architectural features that have been saved from destruction during the demolition of merchants’ houses in Ipswich during this period. The painted wall plasters come from a number of Ipswich houses. While the hall was the main public room of a large house, the parlour was intended to be a more private room for family and closer friends. It combined this role with being the master bedroom. In farmhouses it was often on the ground floor but in towns it was often built over the shop. Even though it was a more private room it was still quite common for a servant to sleep in the same room and bed curtains were often the most valuable part of the household furniture. A standard part of any wedding was for the new couple, fully dressed, to lie in bed and receive the compliments of friends and family. Special food treats could be locked away in the livery cupboard. Chests for holding valuable textiles, plates and precious items were often kept close to the owner in his room at night. 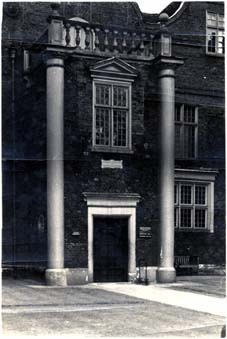 This is part of a merchant’s, or wealthy artisan’s, house which stood at Majors Corner in Ipswich until it was demolished and rebuilt here onto the North porch of Christchurch mansion in 1925. The floor and roof are original, but the walls and windows are not. The plaster, the panelling and the overmantel were removed from demolished houses in Ipswich during the 1920s. Following the enormous influence of William Morris and the “Arts and Craft Movement” there was a great interest in all things Tudor and Jacobean in the last years of the nineteenth century. Architects carefully restored period houses and designed new ones with “Jacobethan” features. The surviving Tudor and Jacobean houses in Suffolk were ‘ransacked’ by dealers, creating the important local antiques trade. Furniture and fittings were also reproduced to the designs by many local firms like Tibbenhams and Titchmarsh & Goodwin. Click on the plaque to see an image of Thomas Eldred's house and its former site in Fore Street. 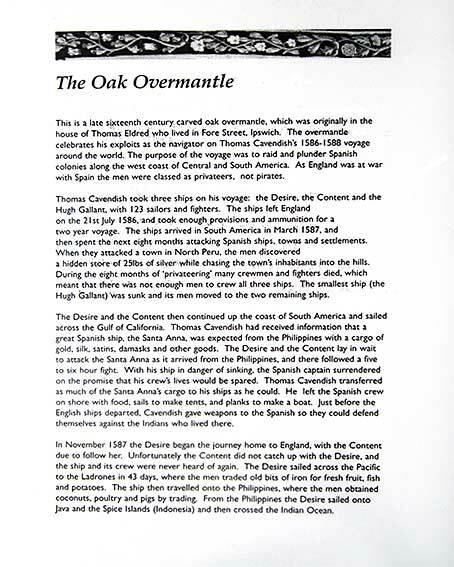 The text is from the information book about the exhibits. The Wingfield Room in the Mansion relates to parts of Sir Humphrey Wingfield's mansion on Tacket Street, described on our Courts & yards page. 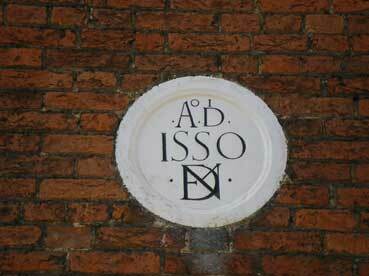 At the west end of the Mansion is a smaller roundel, very high up: '1564'. The cameo of Thomas Wolsey is rather more pugnacious than the benificent propaganda Sampson Strong portrait executed shortly after his own time (upon which this work is based) and probably a more accurate representation of a brilliant but flawed man. 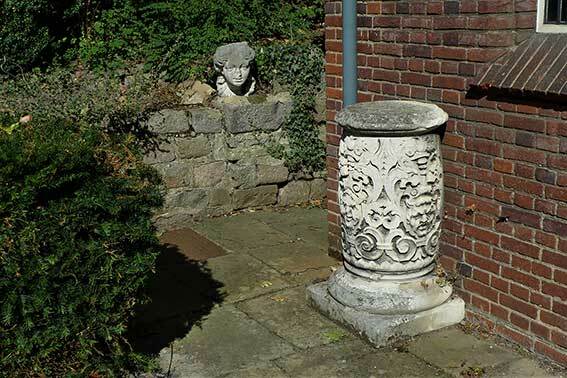 In 2017 Bob Allen discovered the plaster maquette for this work in a reclamation yard in Colchester and contacted the Friends of Ipswich Museums. 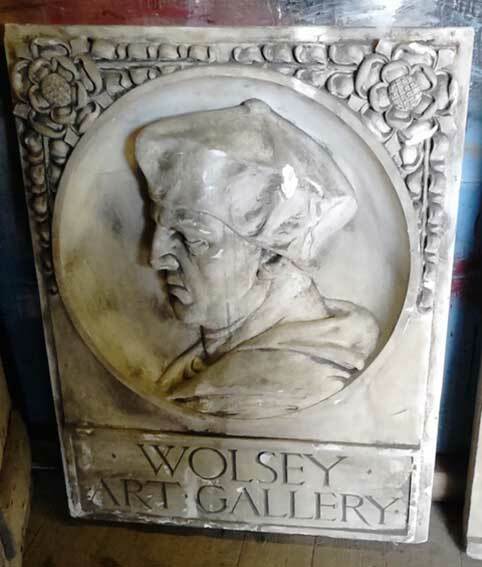 They eventually purchased the piece and we hope that this integral part of the Wolsey Gallery story is placed on permanent display inside the gallery, beside the door over which the finished version features. We will link to Bob's full Ipswich Society Newsletter account soon. 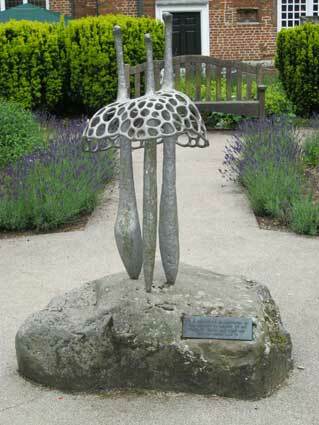 In the Wolsey Garden behind the Mansion is Bernard Reynold's Triple Mycomorph (Fungus Form) with the Wolsey Art Gallery behind. 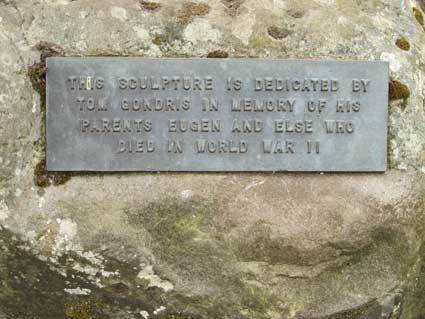 Below is the sculpture with the poignant dedication plate below, celebrating the late parents of World War II 'Kindertransport' refugee and Ipswich resident, Tom Gondris, who went on to become a leading figure in The Ipswich Society, The Ipswich Building Preservation Trust (see Links for both of these), The River Action Group and other organisations. 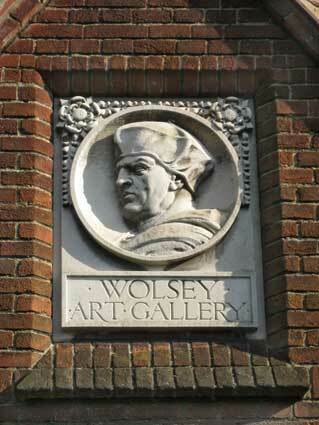 See also the cast iron Borough crests seen near the Wolsey Art Gallery entrance. Below: the column bases still in situ clearly visible either side of the lower workman. The Lloyds building features on our Cornhill 1 page. Just up the path is the Reg Driver Centre bearing the blue plaque dedicated to Felix Thornley Cobbold. The famous front elevation of the Mansion with its extensive lawn and wall adjoining St Margaret's Church features a bricked-in archway, just visible to the right. Meanwhile the main gateway from Soane Street also bears inspection. The pineapples are splendid, the diaper brickwork striking and the Borough coat of arms is on the metalwork gate. 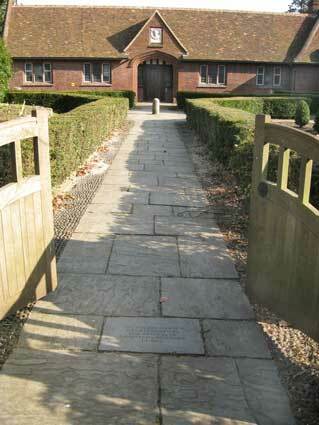 In 2018 we noticed the two war memorial slabs set into the limestone setts of the driveway entrance. These memorials are topped by Victoria Cross features with 'For Valour' within. 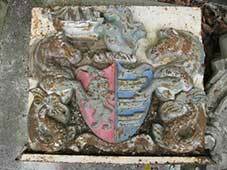 *** Christchurch Mansion – are parts older than we think? In the April 2013 issue of The Ipswich Society Newsletter Louis Musgrove and Ken Wilson took a close look at the fabric of the building and its possible origins. The Augustinian Priory of Holy Trinity, also known as 'Christchurch' had extensive grounds (over 600 acres) and appropriate wealth. Conventional wisdom states that, with Henry VII's dissolution of the monasteries, in 1537 the buildings were completely destroyed and that a new house was built on the vacant site by Edmund Withipoll. However, the inventory which was compiled at the time describes the priory as 'an ordinary brick-built building'. The usual and understandable practice of the times would be for a stone-built structure to be either deliberately or casually demolished and the stone carted away and reused. Identifiable parts of suppressed monasteries can often be identified as components of buildings in the surrounding areas. If demolished, a brick-built edifice would probably not have been worth recycling. Perhaps the survival of the brickwork watergate to Thomas Wolsey's ill-fated college which still stands in College Street, where the expensive stone and other materials were taken away for other purposes. This is particularly so in Ipswich where there is no local stone but natural brickearth and brickworks abound. After dissolution, the land was held under the stewardship of the Wingfield family and so it is most likely that Holy Trinity was stripped of anything of value and the shel left derelict. 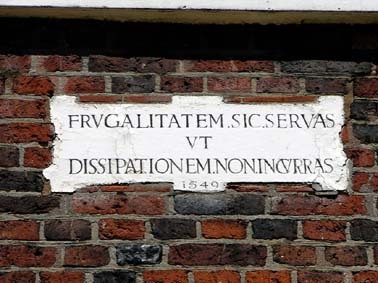 Only twelve years after this, the dated inscription which we show above: 'FRUGALITATEM SIC SERVAS UT DISSIPATIONEM NON INQRRAS ... 1549' (which can be translated as 'Frugality is the way to avoid dissipating one's wealth') was presumably installed in the wall over the front door. Perhaps this was in the mind of the new owner, Edmund Withipoll as he planned his new residence in Ipswich, not to mention the costs. "Pursuing this idea we see that on the east wall of the east wing there are three chimneys, the middle one of which has a plaque with the date 1550 and a cipher for Edmund [see the image of the roundel above]. The style is exactly what one would expect for the date. However, the other two are different. The bricks are smaller and there are crow-steps, both more suited to the 15th century, which suggests strongly that they are survivals of the original priory. It follows then that rather than demolish a basically sound structure the frugal Edmund simply remodelled and enlarged what remained. The front wall provides further evidence of an earlier period as the diaper-work there [trellis pattern in darker brick] would have been rather old-fashioned in 1550 and in fact is very similar to that of the Bishop's Palace in Ely which was constructed in the 1480s. Edmund was a man of the city and very familar with the latest fashions: if starting from scratch he would surely have opted for a more modern appearance for that important frontage. As it is, the impression is undoubtedly early-Tudor rather than early-Elizabethan. ... Much repair and many alterations and improvements have been made to Christchurch Mansion throughout its history, right up to modern times, but in the light of what we now know we may surely assume that in addition to the visible signs there must also be, tantalisingly hidden from our view but surely encased within those sturdy walls, some substantial remnants of that earlier structure." Christchurch/Holy Trinity timeline to 1895 (compiled for the Friends of Christchurch Park). 'A plan of the Christchurch Estate belonging to Tho. Fonnereau Esq. surveyed 1735 by John Kirby' shown above comes from the Friends of Christchurch Park (see Links) publication Christchurch Park & Ipswich Arboretum souvenir and guide by David Miller, 2018. (A detail from the map appears on our Bolton Lane page.) The V-shape of lanes converging on the site of The Woolpack has the legend – a bit illegible here – 'Little Bolton' beside it – at the top of what we today call Bolton Lane. 'Little Bolton Field' stretches right down to this point. Hence, today's Bolton Lane is appropriately named. However, in the way of these things, matters are somewhat confused by the legend 'Bolton Lane' to the west alongside the lane going north through a field named 'Great Bolton' (close to today's Fonnereau Road, but inside the boundary of today's park). Great Bolton was to become the Upper and Lower Aboreta. The fish ponds are labelled variously 'Bason' (possibly a variant on basin? – the Round Pond), 'Pond' and 'Dovehouse Pond' (today's Wilderness Pond). Another feature is the avenue of trees which starts above the mansion and runs northwards all the way through today's park, across Park Road through 'Great King's Field' (appropriatel, the site of today's The Avenue residential road) and 'New Wood'. This suggests that a carriage drive might have existed here, although it would have been quite a climb uphill from the mansion. 'Pedders Way now Anglesea Road' is self-explanatory and below it 'George Lane' is today's St Georges Street with the legend 'The Ruins of St Georges Ch', so the ruins were still in existence in 1735. At lower right is the position of the Church of St Margaret with two paths to St Margarets Green more or less where they are today. Around the church are areas of lans laid out for the mansion: Great Garden, Great Court, Inner Court, Green Garden, Nursery, Wood Yard. The upper boundary of the 'Wood yard' is approximately where today's Bolton Lane entrance and the Reg Driver Centre are located. 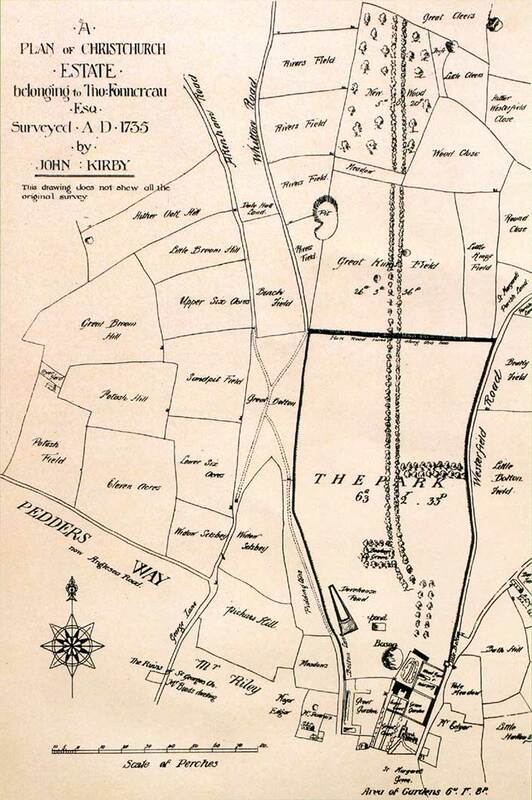 Above: this detail from Edward White's 1867 map of Ipswich shows the parkland north of the Mansion and Church of St Margaret when it was still in the possession of the Fonnereau family. The round pond to the north-west of the Mansion is clearly shown; dates back to the time of the Priory of Holy Trinity when the friars had it constructed as a fishpond (the nearby wilderness pond dates to the mid-16th century). The ponds are fed by the natural springs in the area. The bridleway runs north-south dividing the Lower and Upper Arboreta with, across Henley Road, Ipswich School (here labelled 'Queen Elizabeth's Grammar School'). Fonnereau Road is already labelled at this time with the lower part named after the row of buildings here: Park Terrace'. Today's Withipoll Street is here labelled 'Withpoll St'; a street map dated 1994 even has it as 'Withipool Street'. As we have seen from the 1735 map, the name 'Bolton' crops up in several locations at that time. By 1867, from the public school northwards and from the Woolpack public house (on the junction of Westerfield Road, significantly marked 'Foot Path', and Tuddenham Road) northwards, it is clear that much of the area was still open farmland. 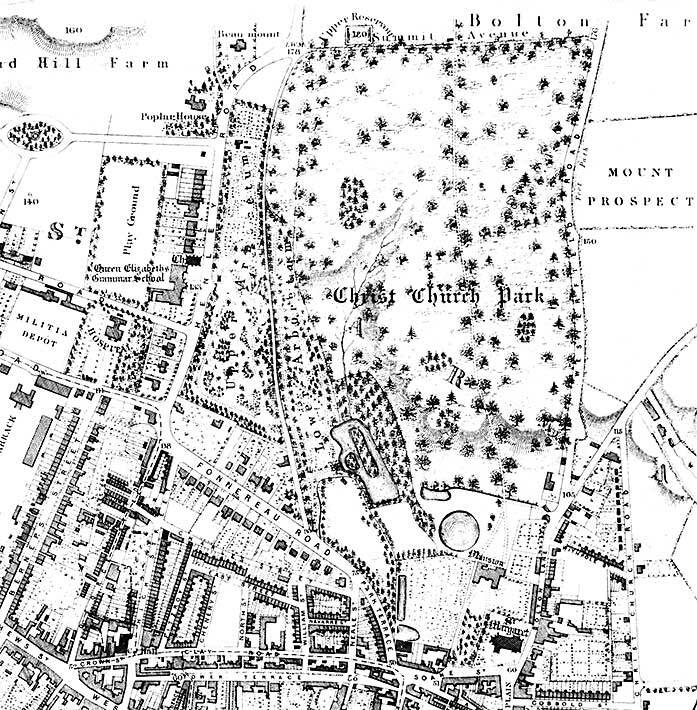 'Sand Hill Farm' is at the top left and 'Bolton Farm' is at the top right, but more central to the park, presumably the dividing line is today's Henley Road. 'The creation of the arboreta brought both gain and loss to the town. The ground on which they were laid out had been meadow land, known as Bolton, separated from Christ Church Park by a line of palings. This hilly grassland was a convenient playground for the children of the town as well as a cricket ground. At holiday times the townsfolk would have felt the loss of a customary place of resort.' (from Clegg, M. The way we went, see Reading list). The 'Upper Reservoir', now developed as housing, stands on Summit Avenue – today's Park Road and no wider than the bridleway – and none of the large houses on the latter exist in 1867. Contrary to one source, Bolton Lane does appear to be correctly named because it led northwards to Westerfield Road which then ran into Bolton farmland. Interestingly, this is marked 'Park Road runs along this line' on the 1735 map. 1894. 50 acres of public Park were offered for sale for £16,000 by the Fonnereau family; they had already sold some land and it seems they would have sold off more of Christchurch Park for development (house-building) had it remained in their hands. While the Ipswich Council considered the purchase of the Park, Felix Thornley Cobbold wrote to it: ‘Having contracted to purchase Christ Church House with land adjoining I desire to offer the property to the inhabitants of Ipswich as a free gift subject to conditions. One condition which I make is that the purchase of the Park which the Town Council have agreed to make subject to the consent of the Local Government Board is carried through.’ A second condition was that ‘the main structure of the house be preserved and the internal fittings as far as practicable’. 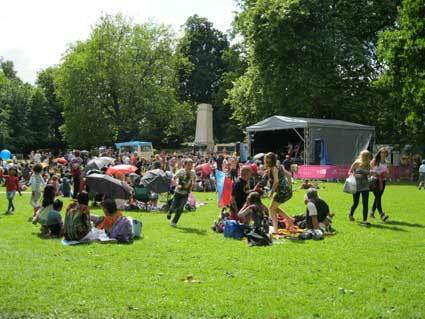 The offer was gratefully accepted by the Council; it probably tipped the balance of the decision on the Park. 1895. 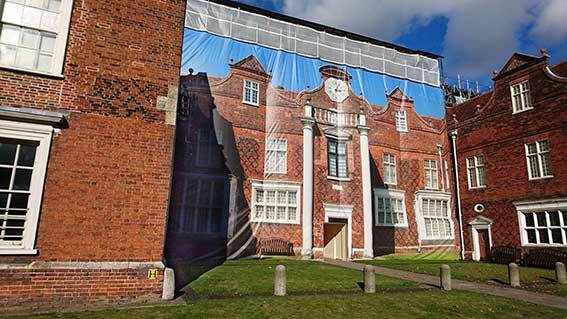 23rd February: Felix Cobbold gave Christchurch Mansion to the town and the conditions were agreed by the Council. April: the Corporation purchased the central part of the Park, Clark's Arboretum, along the lower part of Fonnereau Road and the area by Westerfield Road. The Soane Street entrance soon followed. The Park officially opened to the public on 11th April. Next day’s local press reported its opening without ceremony in the morning; at first only a few boys entered, then more people, then six to seven hundred by the afternoon. During the years immediately following, shelters were built and monuments erected or moved into the park. 1922. The Lower Arboretum was held in private hands and allowed access only to those who paid subscriptions but this ceased when it was bought by the Borough in 1922 and redesigned to include tennis courts and a croquet lawn. 1928. The Corporation acquired the Upper Arboretum. N.B. : the Friends of Christchurch Park website (see Links) features a very useful timeline dating from the Little Domesday in 1086 to the present day. 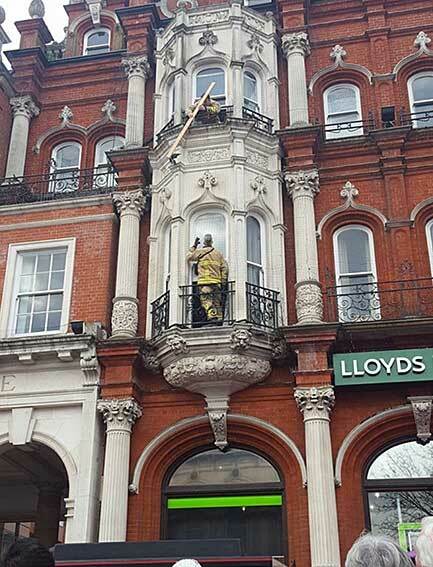 See our page on Public clocks in Ipswich for a 2018 view of the building and its refurbished/replaced clock. The Mayor accepted the gift and the fountain was commissioned, it cost £64 to construct. 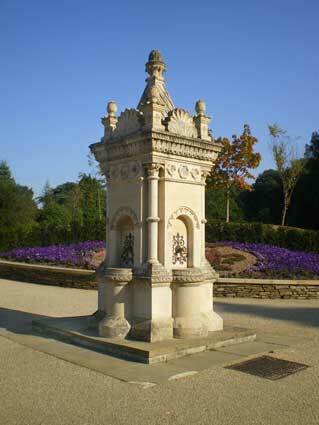 The Brett Drinking Fountain was described as being “in the highly ornamental Italian style”. Mr Thomas Shave Gowing, a friend of John Brett, was inspired by this generosity to write a poem about the drinking fountain, which he recited at the opening ceremony. 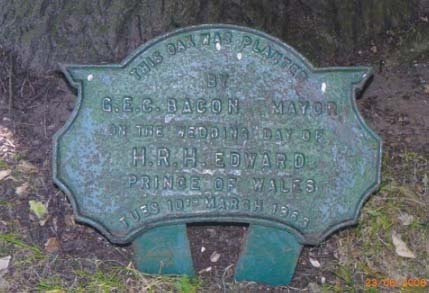 The Brett Drinking Fountain was unveiled at noon on May Day in 1863, but without the Mayor, Mr George Constatine Edgar Bacon who had declined to attend, or the Deputy Mayor, Mr Edward Grimwade who also refused to attend saying “cold water was a cold subject to make a speech upon”. It has been suggested that the Mayor and his Deputy had political disagreements with John Brett and Thomas Gowing and this is why they did not want to be at the ceremony. 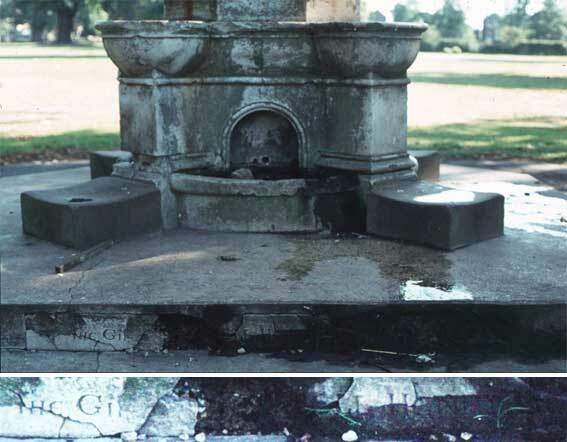 The Brett Drinking Fountain was the first feature to be restored in Christchurch Park under the Heritage Lottery Funded restoration project, with Suffolk Masonry Services carrying out the restoration work. This time the Mayor of Ipswich, Mr Bill Wright, and his wife were present to enjoy the opening ceremony and the poem written by Thomas Gowing was recited by the Community Education and Access Officer. It asks different groups of people to come forward and drink from the four taps of the fountain. Pupils from St Margaret’s Primary School and Ipswich High School took part in the ceremony, coming forward to drink when called upon, together with some of the adults present. 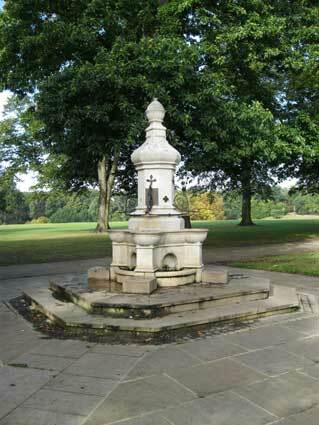 This structure is Listed Grade II (See Links for British Listed Buildings): "Drinking fountain. 1862. Signed by F Arrow. The gift of John Brett. Stone over brick core. 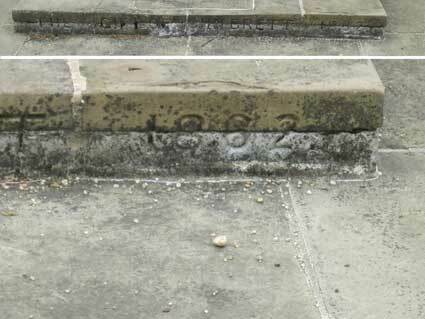 Stepped plinth with inscription recording gift on north side. Square-section structure with its base elaborated by one projecting bow to each face. Superstructure stepped back by moulded rebates. Main part has rebated corners fitted with annulated columns with stiff-leaf capitals and each main side has a central arched recess. In recesses are wrought-iron scrollwork and fountain taps, only one of which is in place (replaced C20). 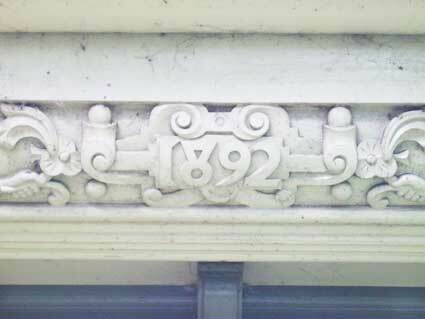 Roundels and square mouldings in frieze. Cornice with stylised waterleaf. Surmounted by an obelisk finial in centre with corner finials below, the latter separated by giant anthemions." May 1895: The Burton Drinking Fountain was gifted to the town by Sir Bunnell Burton (1858-1943) and placed by the Ancient Avenue. This was the same year that Felix Cobbold gave Christchurch Mansion to the town on the condition that the Ipswich Corporation purchased the rest of the property and that the house be preserved. The fountain has always stood at its present location. 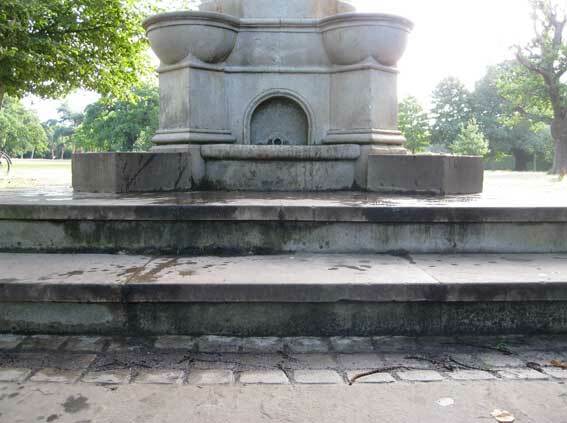 This drinking fountain was restored in 2006, ahead of the Heritage Lottery Funded restoration project. Sir Bunnell Henry Burton was director of the Ipswich firm of Burton, Son & Sanders, the confectioners with the mill on the Wet Dock – which made Waggon Wheels and Jammie Dodgers – their offices still stand in College Street. He was organist of St Mary-le-Tower Church, Mayor of Ipswich in 1905, a member at the Ipswich Art Club 1910-1915, and for 38 years Chairman of the Governors at Ipswich School, being knighted in 1934 for political and public services in Ipswich. 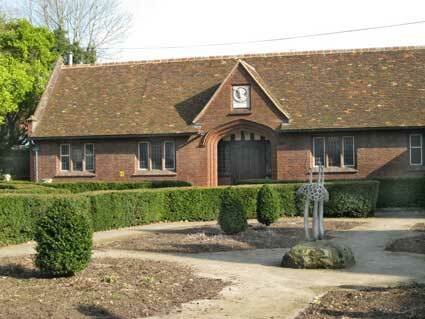 Burton was a subscriber to the building of Rosehill Library: the earliest purpose-built branch in Suffolk. Descendants of Sir Bunnell still live in Ipswich today. Sir Bunnell Burton died in 1943 and his memorial can be found in the cemetery of St Mary's Church, Wherstead. For a little more information about the Burton family firm see our Burtons page. The brass plaque reads: 'Burton Fountain 1896, Restored 2006'. The restoration work commenced in 2006 – ahead of the Heritage Lottery Funded park project – along with the Cabman’s Shelter, the Brett Fountain and the Arts & Crafts Shelter in the Arboretum. 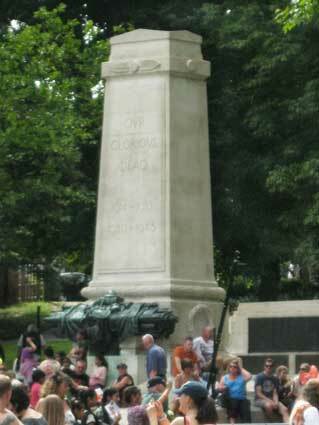 See also our page on the monument just down the hill from here: The Ipswich Martyrs memorial. 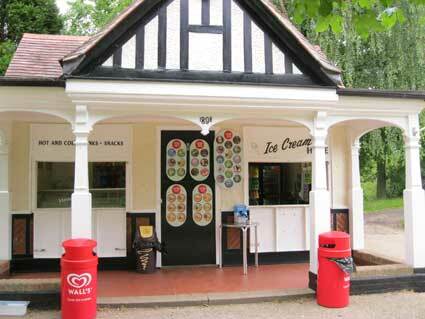 This handsome Listed Grade II structure has had a chequered history. 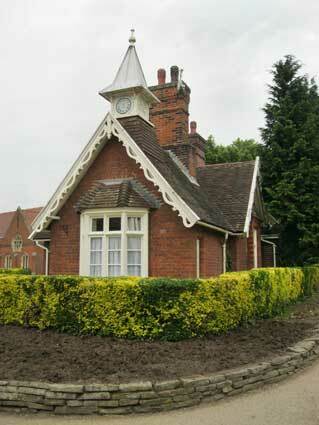 The Listing text (See Links for British Listed Buildings) reads: "Formerly a cabmen's shelter which stood in Cornhill and is now used as a public shelter in Christchurch park. Dated 1892. A timber building with a boarded plinth and segmental arched openings, 4 front and rear and 3 on the sides. 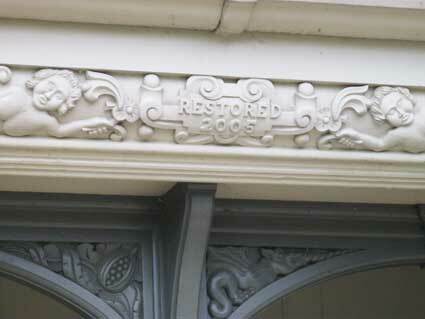 The arches have carved ornamental spandrels. There is an entrance on the south-west side. 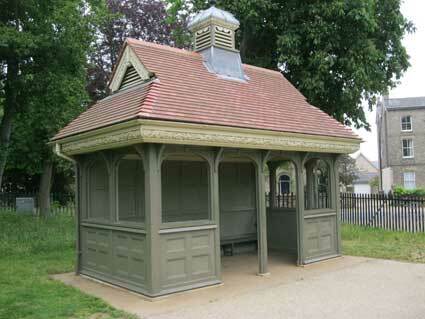 Roof tiled, gambrel, with a central louvred cupola with ogee leaded roof and a finial. The eaves cornice is richly ornamented." The 1892 shelter was originally a place for Victorian cabbies to sit and have a hot meal as they awaited their next fare. Their horses waited outside while the men sat around a warm fire. One of the complaints reported from travellers was that, in inclement weather, the cabbies were reluctant to come out into the elements and take fares to their destinations. The shelter originally sat on the Cornhill but in 1985, when roads started to be developed for car traffic, it was towed by a steamroller to the park (a well-known period photograph documents the event). 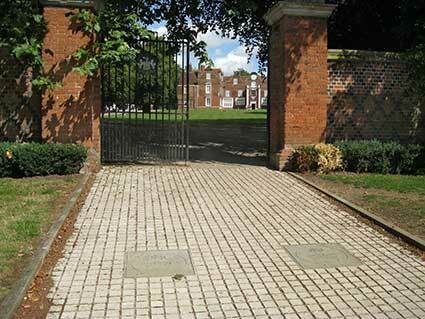 We recall it in the 1970s near the Soane Street gates, in sight of Christchurch Mansion. 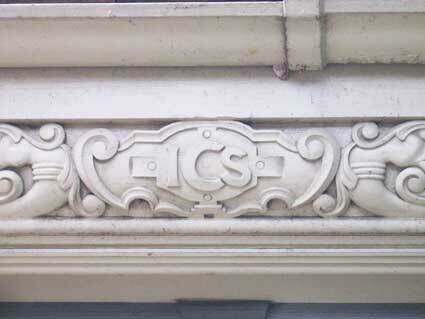 The presence of the 'ICS' initials suggests that a sponsor of the building (or, more likely, the rebuilding) was Ipswich Co-operative Society. 'FB' remains a bit of a mystery. 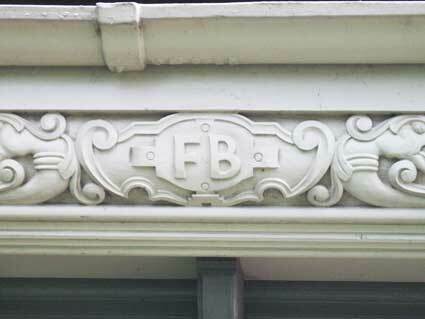 Perhaps the initials of the carver of the decoration? 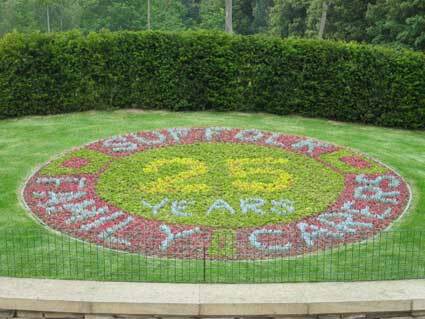 This was given an award of distinction at the January 2008 Ipswich Society Annual Awards. Ipswich Borough Council was client, designer and contractor. It had spent more than 20 years covered by tarpaulin standing close to the Bolton Lane entrance after being ruined in an arson attack. After more than a year of hard work from craftsmen as part of a £100,000 restoration, it is now inside the Westerfield Road entrance to the park. Part of a £4.4 million programme of repairs, and refurbishments based on a Heritage Lottery Fund award. Its history was remembered on 6 August 2006 as a steamroller and horse-drawn cab accompanied the shelter on its journey via St Margaret's Green, Bolton Lane and Westerfield Road. The shelter was restored by chargehand Peter Shemming and joiner Robin Smy at a base at Hadleigh Road Industrial Estate. It was transported to the park by a low-loader lorry and the roof and tiling added once the superstructure had been bedded in. Quite how much of the original wooden structure is included in the rebuild is debateable. London still has a number of working Cabmen's shelters. They were provided by the Cabmen's Shelter Fund, a charity set up under the Earl of Shaftesbury and others in 1874 with the object of providing places where cabmen could obtain 'good and wholesome refreshments at moderate prices'. Because cab drivers weren't allowed to leave their vehicles when parked at a stand, it was difficult for them to get a hot meal while at work. By this provision it hoped to keep the cabbies out of the pubs. Between 1875 and 1914, 61 shelters were erected at a cost of about £200 each. As they were placed on the public highway the police specified that they should not take up more space than a horse and cab. By 2006 only 13 of the cabmen's shelters remain. They tend to be green, superior garden-shed like buildings often smelling of bacon and surrounded by 'black' cabs. Further down in the park, along the path from the fountain and you will see a large oak tree on the right. 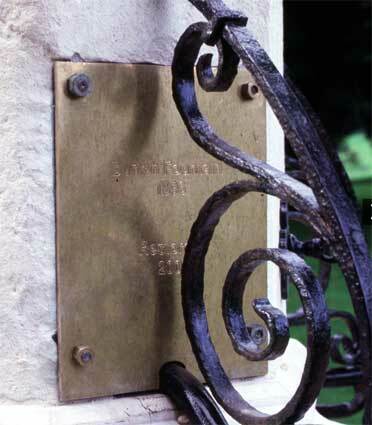 This plaque is situated at the base of the tree. ("I was quite surprised when I saw it as it is a bit of history which very few folk are aware of," says Mike O'Donovan. 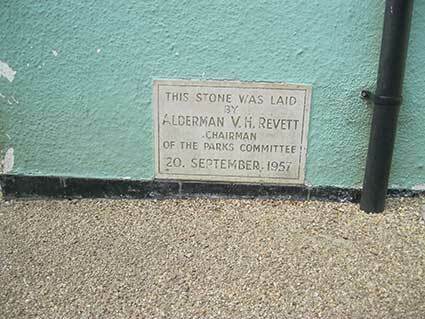 Although this sort of plaque is common in the Mayors' Walk and elsewhere in the park, it wouldn't normally qualify for this site as we feel they are a bit 'un-permanent' or removable unlike, say, a stone monument. However, we've accpted Mike's submission as it gives us the opportunity to add a bit of historical background about this particular Prince Of Wales (the one before the Prince Of Wales who abdicated in 1936) and some slightly salacious gossip. 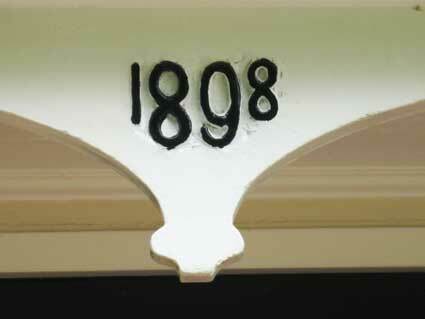 The decorative contours of the cast iron plaque, where the inner background is recessed with lettering and border standing out in relief, contain sans serif capitals of three sizes: the first and last lines (which follow the contours of the plaque) and the fourth line are the smallest; line 2 and 6 are the next in size; 3 and 5 are the largest. Once widowed, Queen Victoria effectively withdrew from public life. Shortly after Prince Albert's death, she arranged for Edward to embark on an extensive tour of the Middle East. As soon as he returned to Britain, preparations were made for his engagement. Edward (Edward Albert 1841-1910) and Alexandra of Denmark (Alexandra Carolina Marie Charlotte Louise Julia; 1844-1925) married at St. George's Chapel, Windsor, on 10 March 1863. When Queen Victoria died on 22 January 1901, Edward became King of the United Kingdom and reigned until his death on 6 May 1910. The Edwardian period, which covered Edward's reign and was named after him, coincided with the start of a new century and heralded significant changes in technology and society, including powered flight and the rise of socialism and the Labour movement. Edward and his wife established Marlborough House as their London residence and Sandringham House in Norfolk as their country retreat. They entertained on a lavish scale. Their marriage met with disapproval in certain circles because most of Queen Victoria's relations were German, and Denmark was at loggerheads with Germany. After the couple's marriage, she expressed anxiety about their socialite lifestyle and attempted to dictate to them on various matters, including the names of their children. Edward had mistresses throughout his married life. He socialised with actress Lillie Langtry; Lady Randolph Churchill (mother of Winston Churchill); Daisy Greville, Countess of Warwick; actress Sarah Bernhardt; Alice Keppel; and wealthy humanitarian Agnes Keyser. How far these social companionships went is not always clear. Edward always strove to be discreet, but this did not prevent society gossip or press speculation. In 1869, Sir Charles Mordaunt, a British Member of Parliament, threatened to name Edward as co-respondent in his divorce suit. Ultimately, he did not do so but Edward was called as a witness in the case in early 1870. It was shown that Edward had visited the Mordaunts's house while Sir Charles was away sitting in the House of Commons. Although nothing further was proved and Edward denied he had committed adultery, the suggestion of impropriety was damaging. Edward's last mistress, society beauty Alice Keppel, was even invited by Alexandra to his bedside at Buckingham Palace at his death in 1910. One of Keppel's great-granddaughters, Camilla Parker Bowles, became the mistress and then wife of Charles, Prince of Wales, one of Edward's great-great grandsons. It was rumoured that Camilla's grandmother, Sonia Keppel (born in May 1900), was the illegitimate daughter of Edward. However, Edward never acknowledged any illegitimate children. His wife, Alexandra, is believed to have been aware of most of his affairs and to have accepted them. 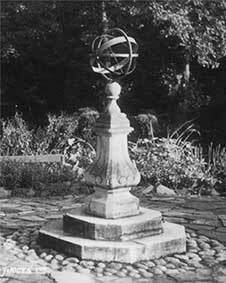 Above left: the sundial as it originally stood in the park, c.1935. 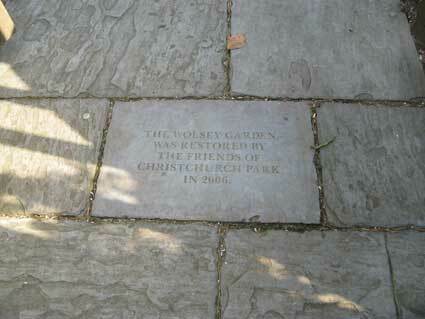 It later fell into disrepair and languished, damaged in the Wolsey Garden. 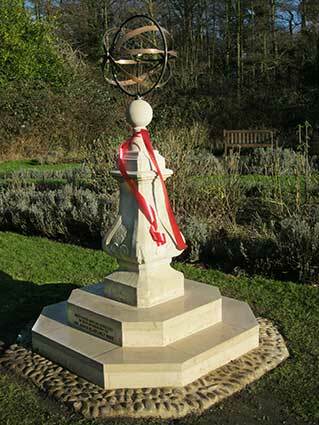 Above right and below: Thursday January 5 saw an impressive gathering in even more impressive sunshine in the Christchurch Park Butterfly Garden to officially unveil the beautifully restored armillary sphere sundial which is dedicated to the memory of Dr John Blatchly MBE. David Miller, Chair of the Friends of Christchurch Park, introduced the event and the main speaker, John Field, paid tribute to John Blatchly’s many contributions to the town and its history. 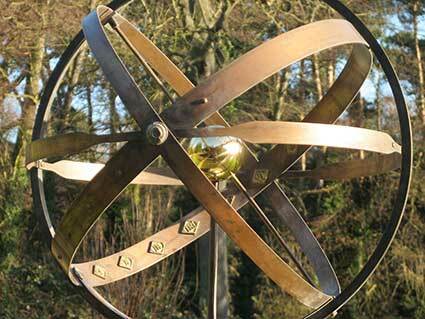 Dr John Davis of the British Sundial Society gave information about the structure and its function. Finally, the Mayor of Ipswich, Roger Fern added his own words of praise and “from one Headmaster to another” cut the red ribbon to officially add this fine feature to the park. There is an excellent information board mounted nearby. 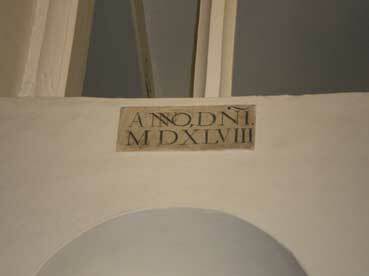 On the lozenges on the inner surface of the band from which the time can be read, it is interesting that the Roman numerals read (in the above photograph): '... XII, I, II, III, IHI, V, VI, VII...'. Why 'IHI' instead of 'IV'? 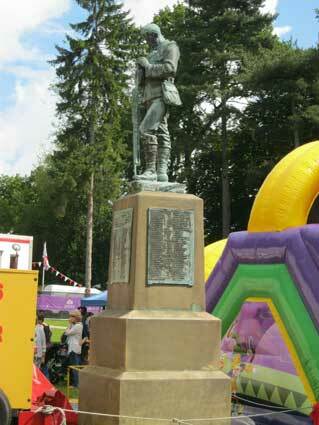 Christchurch Park during the Summer Mela in 2014 (about an hour-and-a-half before the torrential downpours) with the War Memorial in the background. The sculptors were: Earp, Hobbs and Miller; the architect was Edward Adams. It was erected in 1924. 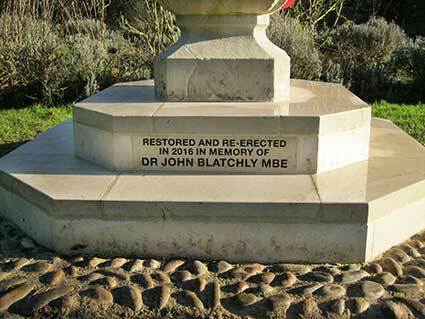 See our full page on the Christchurch Park Cenotaph features and lettering. "The Cenotaph of Portland stone echoes that in Whitehall by Sir Edward Lutyens unveiled four years earlier both in design and in its inscription to the Glorious Dead. 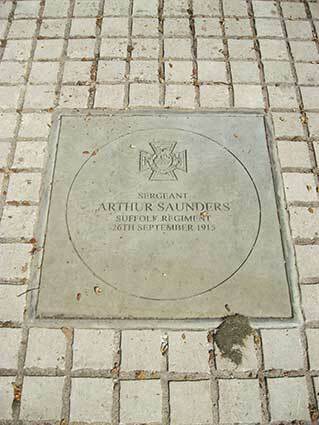 However the Ipswich Cenotaph is set in front of a low stone wall – resembling an altar wall – with bronze plaques inscribed with the names of the dead and has a bronze memorial sarcophagus with rounded top in front. The sarcophagus which was inspired by Renaissance models with two feet on a plinth is made up of up of weaponry including including bundles of spears, regimental standards, bandoliers of ammunition, maces, machine-guns and a Stokes gun – invented by Sir Wilfred Scott-Stokes (1860-1927) who was the managing director of the engineering firm Ransome & Rapier of Ipswich. The draped Union Jack and flag of St George shows respect for the dead whose victory is suggested by laurel discretely growing around the knapsack and bayonet. At the top is a rifle and British army round helmet accompanied the rest of the soldier’s equipment: gas mask, water bottle and ammunition belt." The realistic treatment of the soldier the detail of his uniform and the portrait-like quality of his mourning expression contrasted with the idealism Toft's 1909 war memorial in Cardiff. The memorial was a telling embodiment of the suffering of the Boer war and Toft repeated the figure - with minor variations - in five World War I memorials at Streatham, Stone, Thornton Clevelys, Leamington Spa and Smethwick, dating from around 1920." 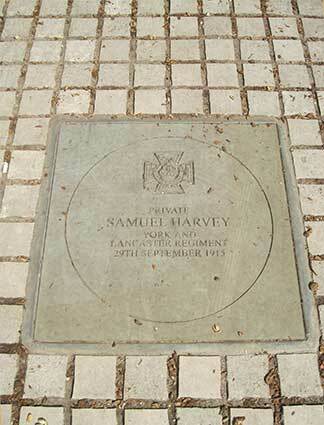 Followed on each of the four plaques by a list consisting of name, rank and regiment. More park lettering: Alexandra Park, Bourne Park (and Bourne Bridge) and Chantry Park.